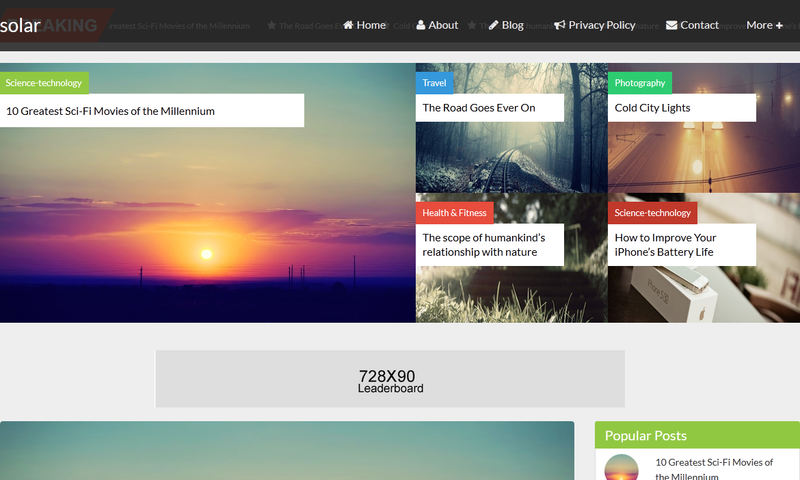 Solar is a magazine style blogger template with dynamic design. You can use this template for news site as well as for simple magazine sites. Solar is the perfect combination of design and technology. We have made our theme more dynamic and more performing, and it's our belief that this is the best blogger template which is perfect combination of design, technology and seo.